It seems like a scene from Oliver Twist  a young pupil being beaten by a 300-lb man wielding an inch-thick wooden paddle  but according to a new report by Human Rights Watch and the American Civil Liberties Union, nearly a quarter of a million children were subjected to corporal punishment in public schools in the U.S. during the 2006-2007 academic year. Based on 202 interviews with parents, students, teachers and administrators, and supplemented with data from the U.S. Department of Education, the report reveals how the spare-the-rod-spoil-the-child philosophy continues to rule thousands of classrooms across America, and how students with disabilities are disproportionately affected by such draconian methods of discipline. 2. On its widespread use in classrooms, especially in punishing disabled students: “Corporal punishment is legal under domestic law in 20 states … Texas paddles the most students in the nation, as well as the most students with disabilities … The total number of students, with and without disabilities, who were subjected to corporal punishment in the 2006-2007 school year was 223,190. 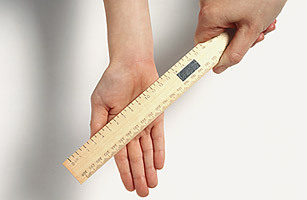 … Nationwide, students with disabilities receive corporal punishment at disproportionately high rates. In Tennessee, for example, students with disabilities are paddled at more than twice the rate of the general student population. … Students with autism are particularly likely to be punished for behaviors common to their condition, stemming from difficulties with appropriate social behavior.